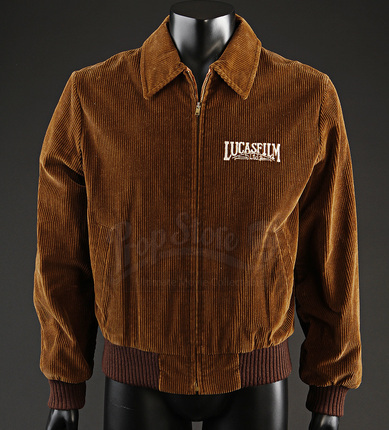 A corduroy jacket given to staff of Lucasfilm during the late 1980's. 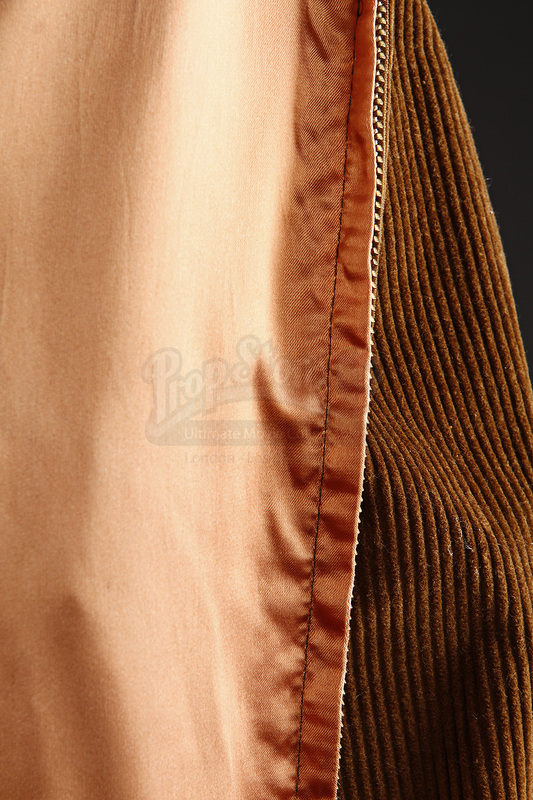 This jacket is made from brown corduroy with a rose gold satin lining, and has a brown waistband and cuffs. 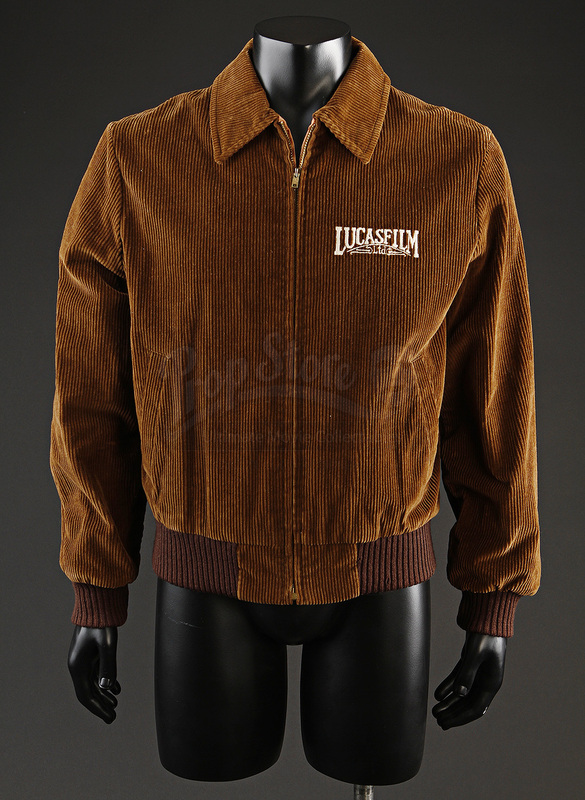 The Lucasfilm Ltd. logo is embroidered on the left breast, along with visual effects employee Ed Breed's initials on the inside left panel. 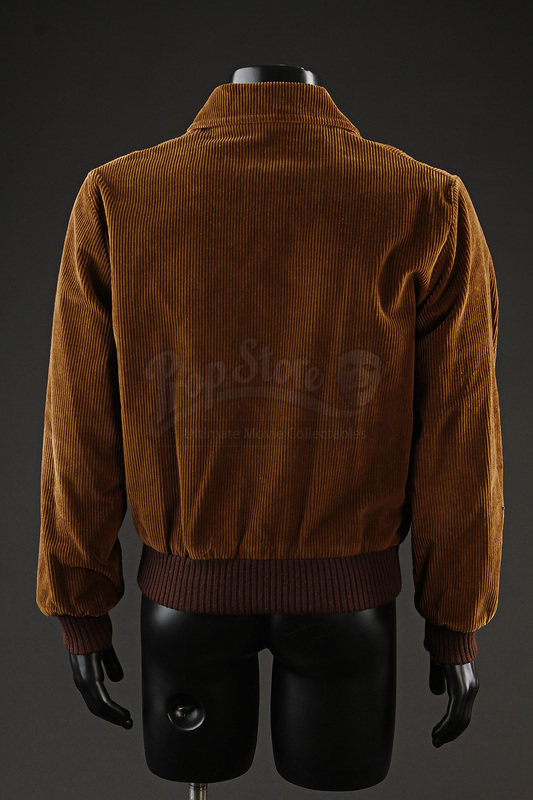 This jacket zips up the front and also has two hip pockets. 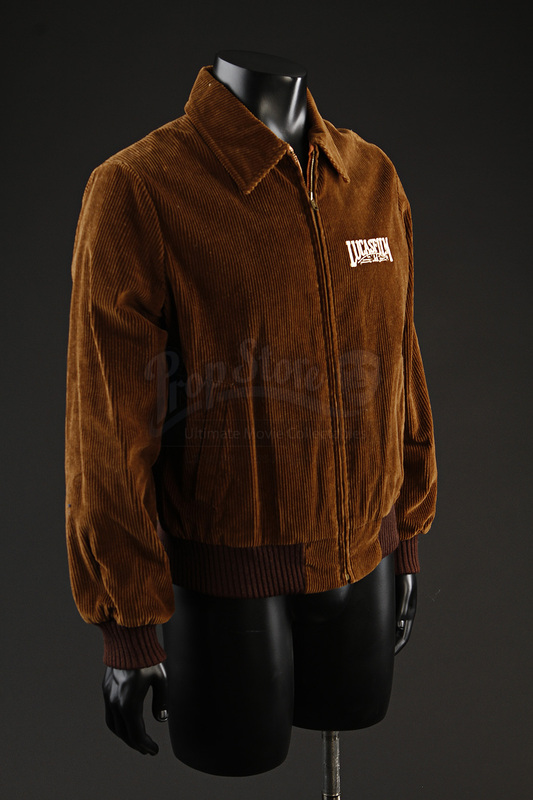 The manufacturer tag notes the size as adult small and dry clean only. 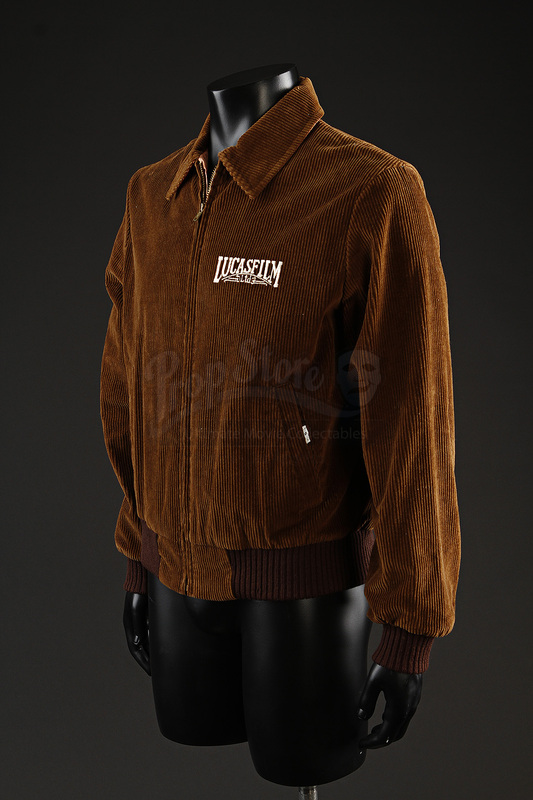 This piece remains in good worn condition.